The Verifone Commerce Application SDK is a plugin for the Android Studio IDE. The plugin integrates into an existing Android Studio installation (downloaded and installed separately). An existing Android studio installation - supported versions are 3.3.x and 3.2.x can be downloaded from here. SDK now makes use of internal JRE of android studio. So, Oracle JDK is not required. It is mandatory to update the emulator before verifying latest payment service related changes. Verifone Android app require Android API Level 22 to be downloaded from Android SDK Manager. Android Studio uses the plugin as a ZIP file, therefore please Do Not Unzip the downloaded plugin zip file. A Verifone Commerce SDK Plugin can be upgraded over an existing installation. If you have an existing Verifone Commerce SDK Plugin installed on your system, we assume you are familiar with installing plugins in Android Studio. Open the Commerce Applications SDK devtools instance or if you have not used the Commerce Applications SDK previously open the Android Studio. And if the previous plugin version is installed, the screen will have options like this. You can install the new plugin on top of the previous one without removing it. Select the 'Configure' option at the bottom of the screen. Click on 'Plugins' option under 'Configure'. This option is very useful when user turns off welcome screen in Android studio. Click on File option from menu bar. Settings screen will be display. Follow steps from here and once on 'Plugins' screen, check for 'Install plugin from disk' option. Click on 'Install plugin from disk' option and select the zip plugin file which is stored on the local machine. Once the plugin is installed, the 'Plugins' wizard will show an option for 'Restart Android Studio'. Click on 'Restart Android Studio' and let the android studio restart to show the installed plugin. EULA are now displayed in this 'Restart Android Studio' button in the 'Plugins' wizard. If you have a previous SDK version installed, remove/uninstall the plugin from Android Studio by clicking on 'Commerce Applications SDK' entry in the plugin list, clicking the uninstall button in the right pane, and then clicking the 'Restart Android Studio'. Return to the step #2 and once on 'Plugins' screen, check for 'Install Plugin' from disk option. Once the plugin is installed, the plugin wizard will show an option for restarting the Android Studio. Click on the 'Restart Android Studio' and let the Android Studio restart to show the installed plugin. Before the studio is restarted, a prompt will be shown on Windows machine for Font Installer. Please select Yes for it. After following all the above steps, the plugin with required dependencies will be installed and Verifone Application option will be available on the welcome screen. Click on Android Studio option from menu bar. Preferences screen will be display. The installation flow for Mac is almost similar to that of windows. Once the plugin is installed successfully, the developer can import a Verifone Commerce project or start a new project. When developer builds the project from run >> edit configuration option, prompt of setup required to run simulator is shown. This will install Wine setup reuired to run simulator on Mac. Please select yes to configure simulator dependencies. ‘envConfig.command’ script executes on selecting 'Yes' from above window. This window auto-closes on the completion of script execution. After the envconfig command window closes automatically, all the dependencies are installed on the machine and the simulator is shown on the screen. 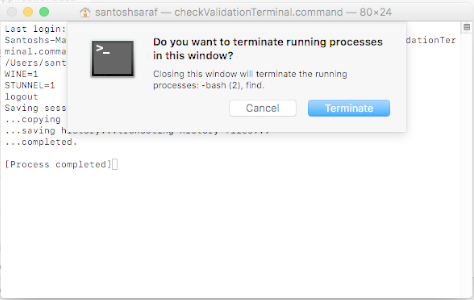 On closing the android studio and relaunching it, checkValidationTerminal.command is displayed, which may/may not auto-close. File menu option(Windows) OR Android studio option (Mac). Click on Configure option and Select SDK Manager option. Default Settings Window is displayed. Click on Appearance & Behavior option. Click on System Settings option. Click on Apply and OK button to update the require configuration files.